and btw, you can check out our current sale! Oh hey, we have a nice catalog that we like to send out occasionally. Would you like to get one? It's free. we've perfected how we make furniture. Almost always, custom furniture costs too much and takes too long. We've removed all the pain. We've worked hard to put in more fun. Very custom and very quickly. Well built and well priced. American ingenuity is alive and kicking. We take joy in the design process. It's our job, and our playground. It's our profession, and our craft. Our designs aren't about us. They are about you and your family. And the comforts of your home. We only smile, if you do. We are a gracious bunch. Our smiles are grounded in our Southern roots. We are always happy to have you stop by. We're in the business of building your trust. We'll do what it takes to earn your loyalty. We want a relationship more than a transaction. These days, most furniture is designed to sell, not to last. 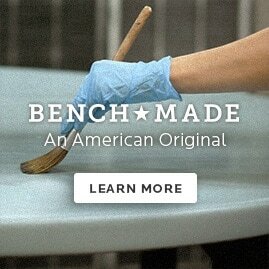 For more than 100 years we've been perfecting the art of crafting furniture full of American ingenuity. Our dedication to comfortable, long lasting furniture remains without compromise. Looking for design ideas & a little inspiration? GET A FREE IN-HOME CATALOG. We'll send the next one to your home. Each catalog features a selection of our best sellers and newest products, along with special offers just for you. We feel so close to you right now. Expect your catalog in the next couple of week. If you're real eager, you can check out the latest catalog online. Get your spring cleaning started early and breathe some new life into your home during the Bassett Presidents Day Furniture Sale. Take advantage of unbelievable savings this Presidents Day weekend to make over your bedroom, dining room or living room with stylish, high quality furniture made in George Washington's home state. You don't have to wait for spring for the opportunity to refresh and bring something new into your most used rooms. Shop Bassett's Presidents Day sale and take your pick from thousands of great deals on living room furniture, bedroom sets, dining room décor and more. Our flexible financing options allow you to take home your dream furniture today while still maintaining the bounds of your monthly family budget. Celebrate Washington, Lincoln and all the great American presidents with a sale worthy of the leaders of the free world. This Presidents day, hurry in to a Bassett store nearest to you.